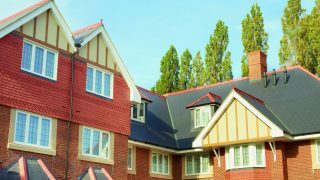 2017 marks the 20th anniversary of Hallmark Care Homes. 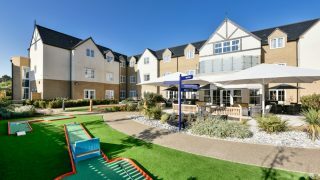 We caught up with Hallmark Care Homes’ founders, Avnish Goyal and Ram Goyal at Anisha Grange, our multi-award-winning care home in Billericay, to find out what have been their highlights over the last two decades and what the future holds for our industry-leading group of homes. Tell us a bit about your personal history and how you first found your way into the care home business. AG: I qualified as an accountant but didn’t really like accountancy, and I wanted to be more creative, so I moved into property investment. I became very successful at it, but I wanted a new challenge. Some of my relatives ran a care home in South Wales and, when they showed me around, I was quite excited by it. I liked the idea of making a difference, so we bought our first care home back in 1997, in Pontypridd. RG: I left university in 1983 with a degree in economics and joined the family business, which started off as a retail business. I then started to do property investment, and Avnish asked me to join him to help support the care home business. What’s your philosophy on care, and how do you think that may have changed over the last 20 years? AG: I don’t think my philosophy has changed. You’ve got to look after your team if you want great care, and you’ve got to invest in your buildings. Those fundamentals have always been there, but how we execute that has definitely changed because I’ve learnt more about how to design care homes, improve the facilities and empower and inspire the team. RG: As you develop and get more successful in business, you think more about giving back. I think what I see clearly now is you need to look after your team; if you don’t have a team, you don’t have a business. 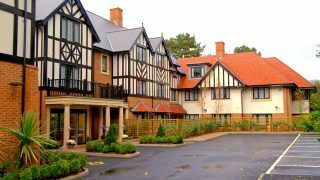 You won the Pinders Healthcare Design Award for Best New Care Home from 2010 to 2015. What drives your innovation? 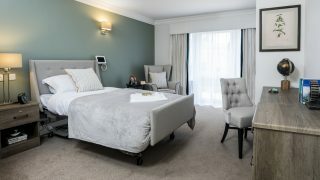 AG: Awards are a nice accolade for the team, but I think what drives me is making sure that we have care homes that people enjoying living in and visiting, that offer facilities that are of a high standard. RG: For me, it is that we are building care homes that are fit for purpose and that they are evolving as the needs of the residents change. What have been your highlights over the last 20 years? AG: Getting married, winning Care Personality of the Year at the 2015 National Care Awards, being named Care Home Group of the Year in 2014, winning Pinders five times in a row, and becoming Chair of Care England, the largest representative body for the independent care sector and I am proud of the impact Hallmark has had on the sector and our empowerment seminars which have been adopted by other providers, are another highlight for me! RG: There have been a number of opportunities where I have been able to support people through difficult times and mentor them during their role, and that for me has been very powerful. 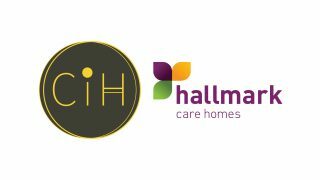 Why do you think Hallmark Care Homes has been successful over the last 20 years? AG: Having that ethos and commitment to continuous improvement is the key to our success. We never rest on our laurels, and we are always trying to improve, investing in our people and facilities and sharing those ideas with the industry. RG: I think we are successful because of the passion we bring to the business; it is true ownership. We never switch off or say we are not available. We don’t see the business as work; we do it because we want to do it and we enjoy it. What differentiates Hallmark Care Homes from other providers? RG: We really care about people, and hopefully that feeling cascades throughout the organisation as we are always striving to maintain the best team levels for the residents, give the homes the best equipment and create the best facilities that we possibly can. AG: What differentiates us is our company vision and charter. We are also committed owners who are approachable, and our values have always been that we want to do the best and be the best. What have been your biggest learnings from running a care home business? RG: It is important to spend time in the homes to get first-hand information from the team to find out what the challenges are for them but also see all the good that happens too. When you see a resident’s face after they have been out for the day, or received breakfast from their favourite carer, you come back and you feel really good. What do you think the future holds for Hallmark Care Homes? AG: We will continue to innovate for the needs of older people, not just of today but for years to come. 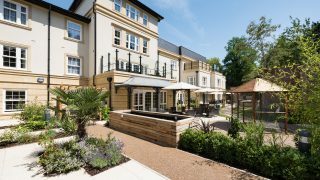 We are looking at new models of care and, along with our building partner Goldfinch Developments, we will continue to lead the way in the design and building of high-quality care homes. 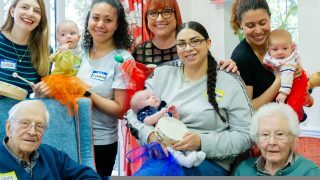 We will also continue to empower and inspire our team and come up with new ways of training and supporting them, as well as changing the perception of care homes and care workers. This is a challenge for us as it is for the sector, but it is one we look at with great positivity. 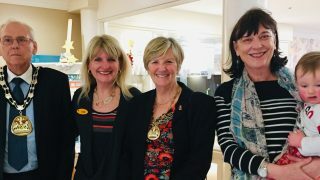 Hallmark Care Homes marked its milestone by recognising our long-serving team members and having an individual celebration at each of our 15 homes in England and South Wales. Watch a video of the celebrations which took place at Alexandra Grange in Wokingham below!